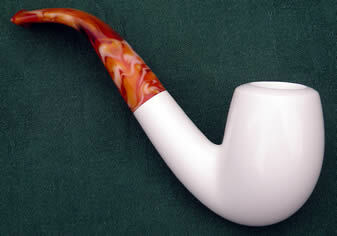 pictures of specific pipes available. 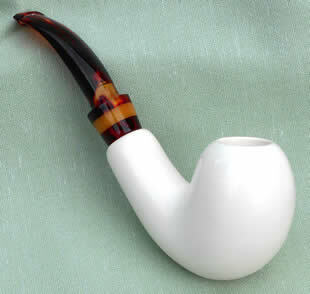 Much has been written about Meerschaum and its contribution to the artistic aspect of Pipe Smoking. 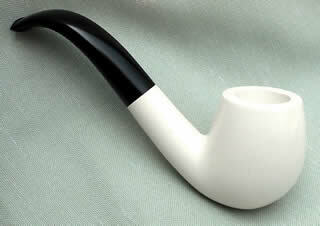 But it is for its practical properties that most Meerschaum Smokers appreciate it. achieved by this rare mineral are a real joy to the user. 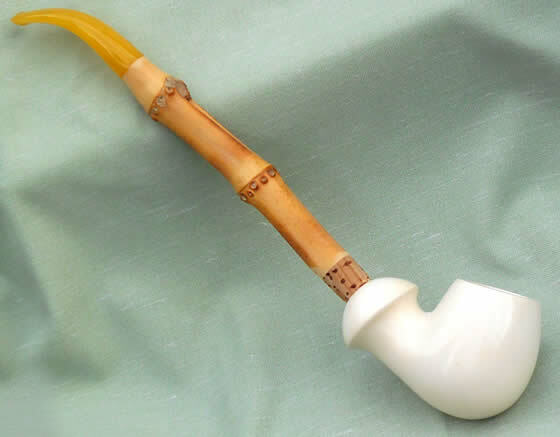 Bamboo stem fitted to the bowl with a cork attachment, and finished with a “juwelith” mouthpiece. 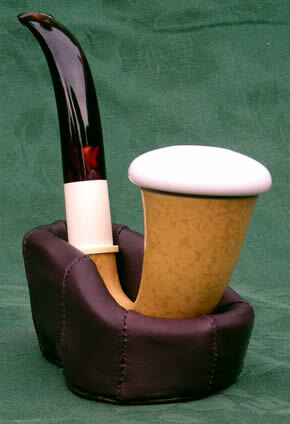 And then the feel - satin smooth or beautifully carved and usually presented in a fitted case. 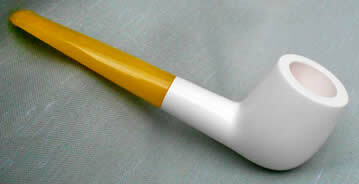 In addition, Meerschaum is really quite sturdy - not like eggshells. It will normally take a fall onto a carpeted floor without any problem (although tiles may be a different matter). 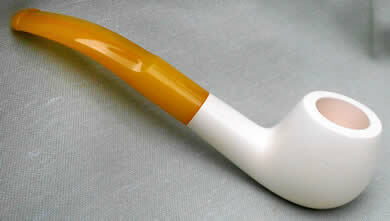 Science has also played its part in technically improving the Meerschaum pipe. 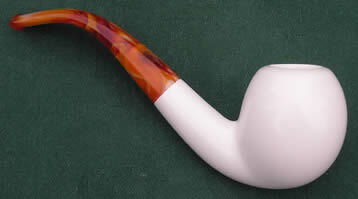 The modern mouthpiece is made of synthetic material - not traditional amber, which is not really suitable for pipe mouthpieces as it is brittle, hard on the teeth and very difficult to bend. The peg too has changed for the better. 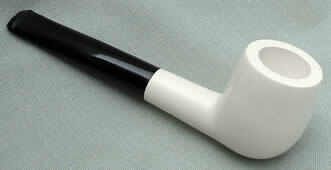 Today it is made from Teflon and it works on a simple push-pull principle. No more thread problems. 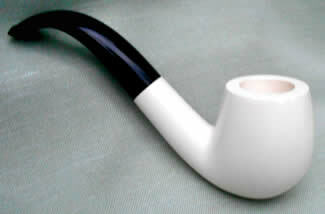 To remove the mouthpiece, twist it in a clockwise direction and gently pull. When replacing, push and twist in the clockwise direction. This ensures that you wont accidentally unscrew the Teflon fitting from the shank  which, in time, may damage the thread. 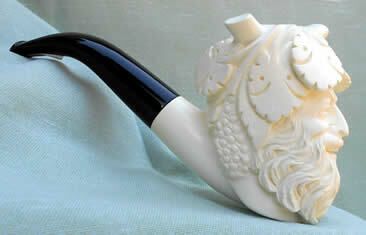 If you consider all the positive aspects of a Meerschaum you will see why it justifies the investment. 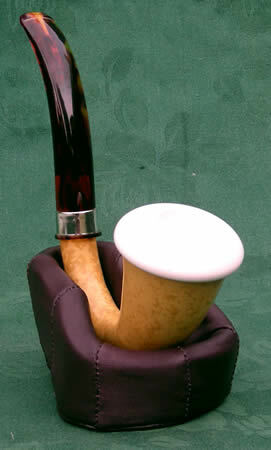 A good Meerschaum is no more expensive than a comparable Briar and it may have twice the life. 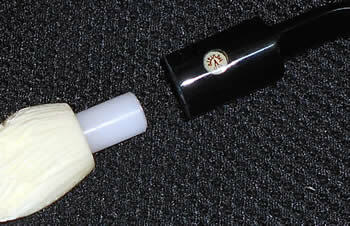 In theory it is simple to replace the mouthpiece (with a black one). 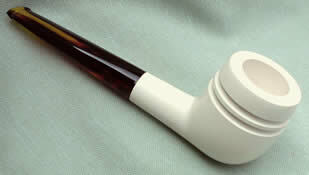 It would be fitted with a teflon peg and lining to the shank, not a screw-in fitting, and that is excellent. 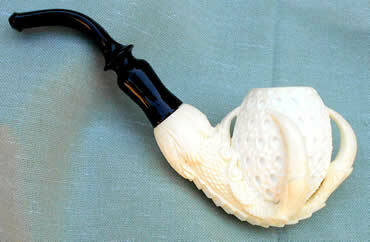 However older meerschaums are very brittle and often crumble. 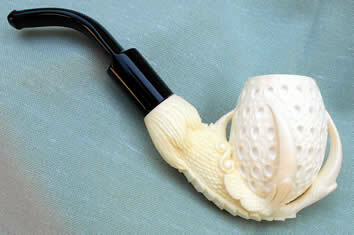 If the broken pieces of meerschaum have to be glued it can go smoothly or can look like a jigsaw puzzle. Then a band could be fitted and this may not be flush. 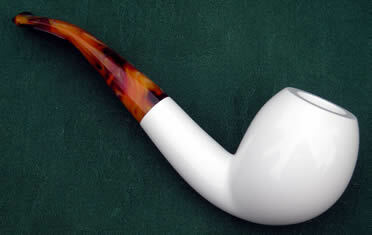 The shank is often tapered and then fitting a silver band is a nightmare. 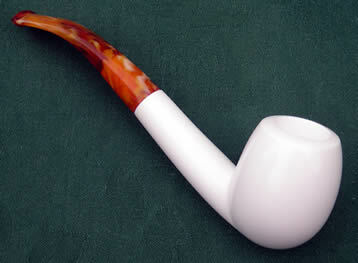 The pipe will be smokeable, and it will have character! 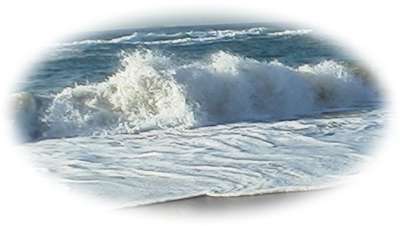 But it usually won't be the same as before it was broken.